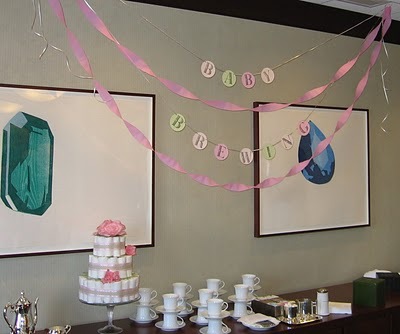 When her coworker was expecting, Jill came up with a classy way to celebrate it...A Garden Tea Baby Shower! 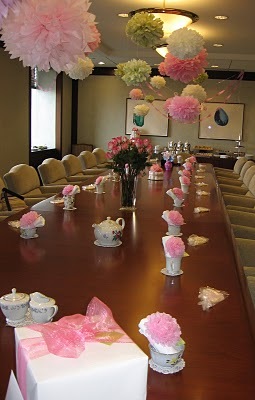 She chose the soft calming colors of pink and green to decorate the conference room at work with. 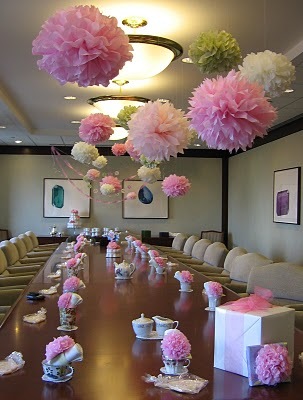 She hung tissue pom poms over the conference table. Not only was it a beautiful touch, she stated that they were mesmerizing as they swirled under the air conditioning vents. 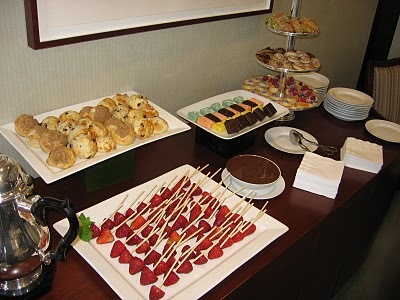 She pieced together an eclectic arrangement of tea cups for the guests to enjoy by hitting the local thrift shops. As a classy accent, she created miniature tissue pom poms to wrap around the silverware sets. Just beautiful isn't it?! And what baby shower is complete without a diaper cake? I love how she stayed with the theme and created a garden style diaper cake. 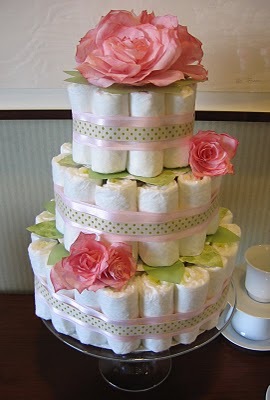 As a special touch, the flowers on this diaper cake are actually made of paper. Impressive, huh! 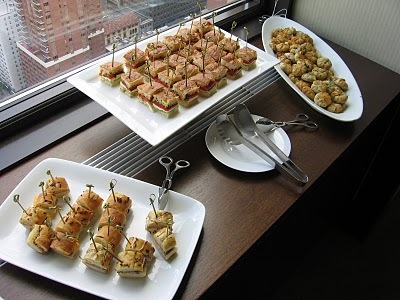 At the end of the conference room, she hung letter garlands as a simple and elegant touch. 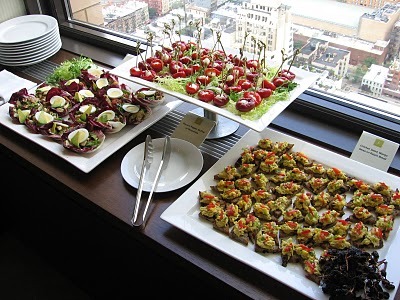 I know most people are not lucky enough to have an in-house caterer at their work. But large companies have some great perks. All she had to do was choose the menu and they handled the rest. Talk about lucky! 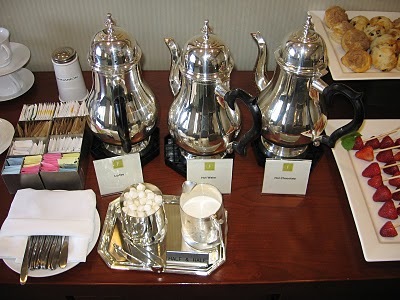 They had an assortment of hot teas, coffee, and hot chocolate for the guests to enjoy. They also had pink lemonade and an assortment of sparkling ciders available. 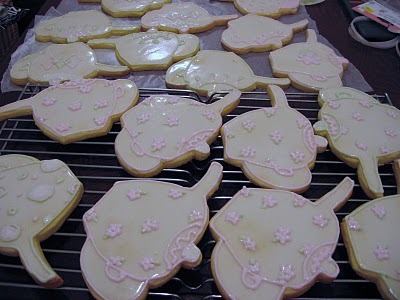 As a special baby shower favor, Jill made teapot cookies for her guests got to take home. 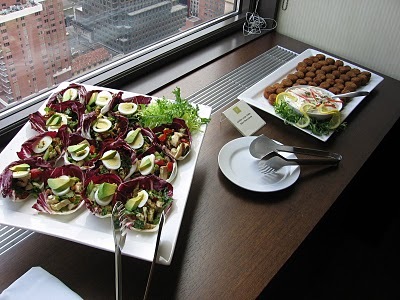 Thank you Jill for sharing this beautiful garden baby shower with us! One nice idea is to ask every guest to arrive with a different cut flower to give the hostess, in addition to their baby gifts. The resulting bouquet can be placed in a vase in the room to contribute to the festive and joyous atmosphere; the flowers symbolize the diversity and beauty of life. This idea is so creative and awesome. It marries two topics that many moms-to-be like and it looks lovely. Thank you for sharing.